Welcome to Wappler, a visual builder for dynamic, data driven and highly interactive custom web sites, CMS systems and mobile apps. With Wappler, there is no need to code, thanks to its integrated, first class reactive front-end and back-end frameworks, visual two way data bindings and Bootstrap 4 builder - all you have to do is to focus on your productivity and creativity. Make sure to get Wappler up and running on your computer and take a quick tour of Wappler’s greatest features. In order to use the latest version of Wappler, you must be running either Windows 7 64bit or newer, Mac OSX 10.10 64bit or newer, or Linux 64bit. Wappler can be downloaded for free from the Wappler Download Page. In order to purchase Wappler or get support on the free version you downloaded, just register on community.wappler.io. Then use the same account credentials when asked to log in as the Wappler application launches. Need further help getting started with Wappler? 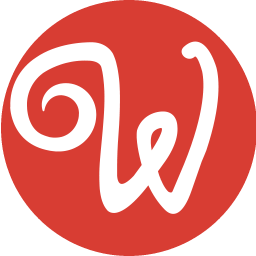 If you ever come across any issue related to Wappler, then just use our Community to get help. We have a friendly and courteous community of users ready and willing to assist. No app is perfect, so just let us know and we will squash out all the bugs! Please use the Bug report option in Wappler for the best results! It is available under the Help > Submit error report… menu or ALT+CTRL+P on Windows or ALT+CMD+P on Mac.